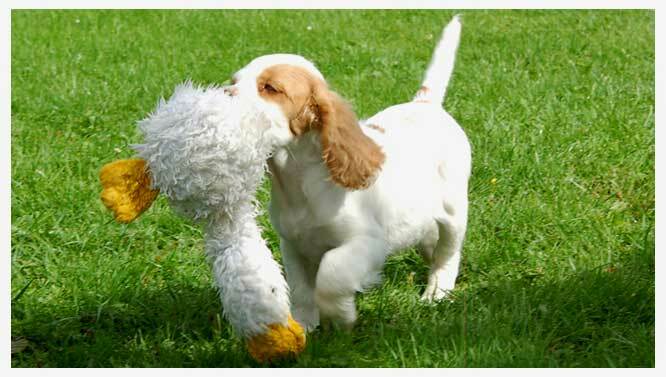 Basic puppy training is the first step in owning a dog you will be proud of. Many thanks for all the advice and help you gave us. We followed your training plan and Tash has been making wonderful progress ! We're so pleased we decided to buy a dog and enormously grateful for all of your help. I look forward to showing you her progress when she comes to stay with you later in the year. Please take your time to read this page before buying a puppy. Who knows, it could save you - and a dog - alot of heartache. When your new arrival is at home you can give me a call and arrange an appointment for me to visit you and show you the basic skills of teaching your young pup good manners. 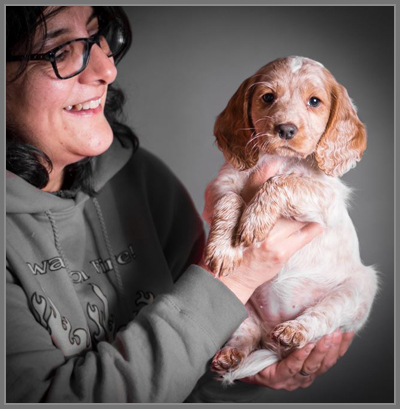 If you would like to come and have a chat with me prior to choosing or collecting your puppy or dog, please don't hesitate to give me a call or email me. Please remember that each breed has its own characteristics. Match these with your own and with your lifestyle and you should have a happy and fulfilling relationship with your best friend. But be honest with yourself and thoroughly realistic regarding your lifestyle. How much research have you done into the breed ? Have you enough time and commitment to give your new puppy ? If you have a family, does the breed get on with children ? Have you enough time to put in to the training ? Can you afford the vets bills, food, bedding, insurance etc? Do you want a pedigree or mongrel? Will your fully grown dog fit into your environment? Before deciding, you must ask yourself a few questions. Does it display anxiety, timidness or even illnesses? A robust look − not fatter or thinner than the rest of the litter? A sleek, shiny coat − with no red patches or sores? Pink, clean smelling ears and gums − and no bad breath? A clean and dry bottom with no signs of diarrhoea or discharge? If any of these signs are present you may need to make the tough decision and return it to the litter. Always ask to see the mother. 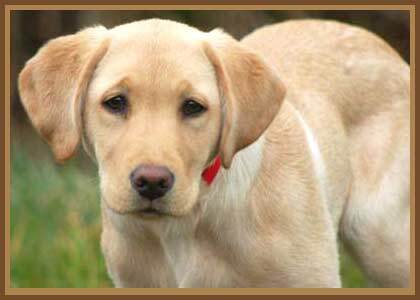 This will allow you to assess her and view her temperament, as the puppies will have many of her traits. At the same time, ask the breeder if the father is available to see as this would also be of benefit. As well the physical signs, also consider the personality. The puppy should show some sign of inquisitiveness and want to come to you − just sit quietly, wait and see how he behaves. Follow these simple steps and you'll take home the right puppy for you and your family. But remember − he is going to demand a lot, not least of all your time, patience, love, food, and exercise. Provide this and you'll have a loving friend for many years to come. I hope my comments prove helpful and that you and your dog become the best of friends ! One word I use frequently when working with owners and their dogs is "time". To begin with, take your time in choosing the right dog for you. Take time to train him thoroughly. And make time to give him enough stimulating exercise. Follow this simple philosophy and you'll have a true friend for many years to come, while giving your dog an owner he will both love but respect.